This far I have done only minor decoupage projects. 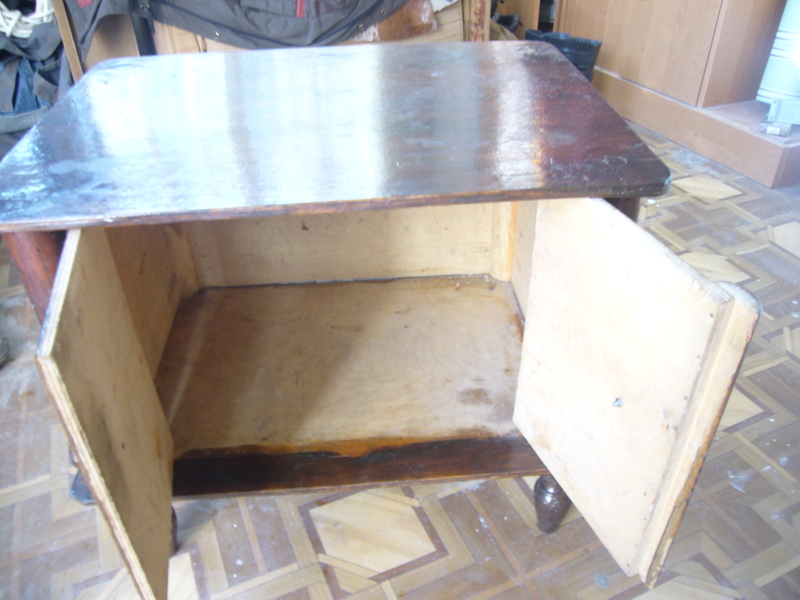 But last week I have done a bigger job and did some restoration and decoupage on furniture. I had a little wooden old piece of furniture. I am even not sure how to call it in English. First I applied some sandpaper to it to scratch the old polish. This helps the new paint to get stuck to it nicely. You do not have to remove all the polish, unless it flakes off. Then I repainted it several times. It was initially dark in color, so I had to repaint it about 3 times to cover it up. 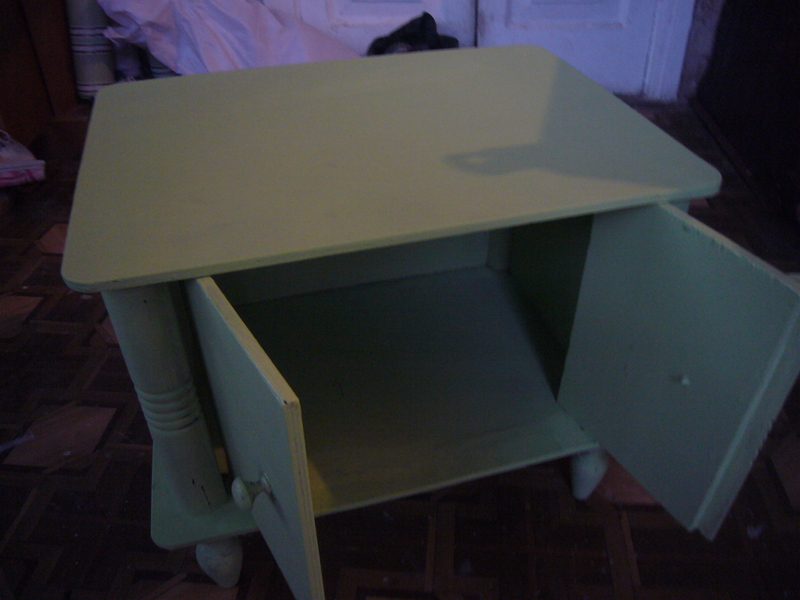 I repainted it in pistachio color. Then I started to decoupage it. I had several nice napkins with rosebuds on them. I glued them with the wood transparent polish. Then covered up with several layers of polish, letting each of them dry up. It did not look good yet, so I used some gouache paints (I do not have acrylic paints yet) to shade it. I mixed green, yellow and golden paints. I applied some of it to the surfaces and then rubbed them well with the washing sponge. 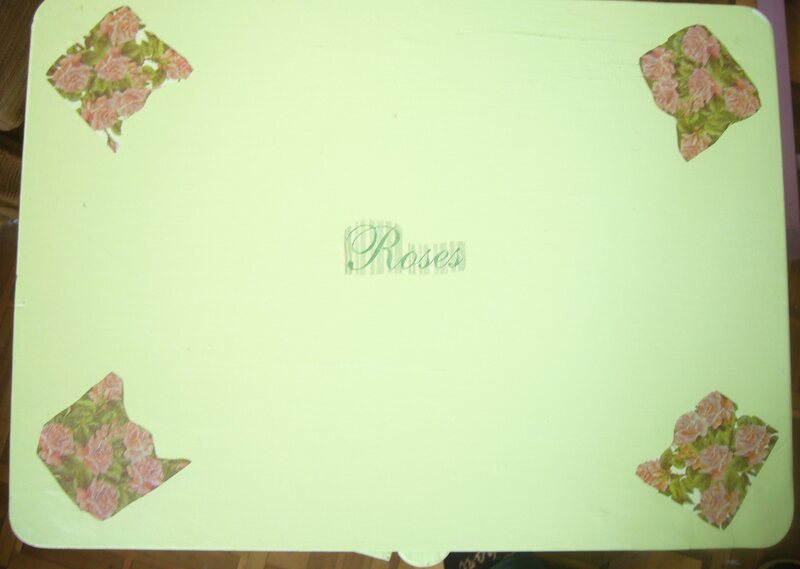 This gave a nice finished look to my furniture decoupage. When it dried up, I covered it with another layer of polish. 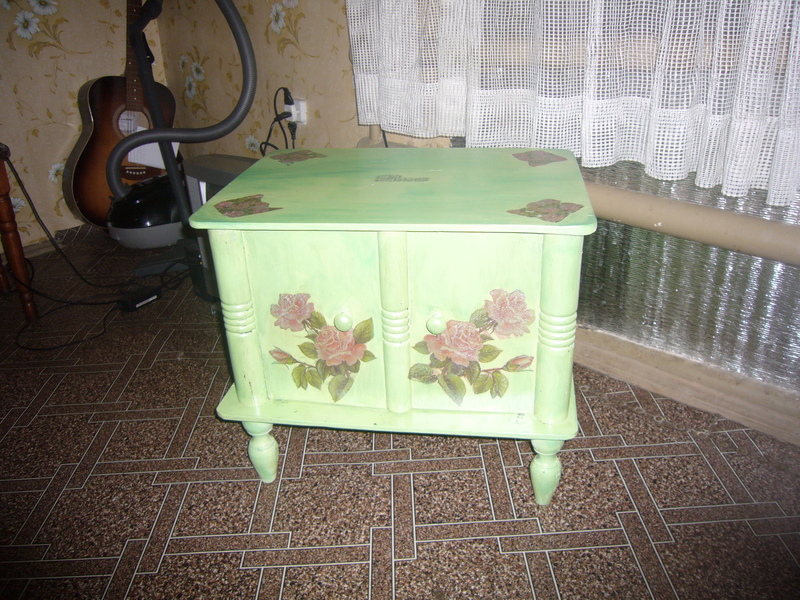 That is my step by step furniture decoupage how to. This entry was posted in Uncategorized and tagged crafts, decoupage, decoupage step by step, decoupage tips, furniture decor, furniture decoupage, furniture decoupage how to, furniture decoupage ideas, furniture restoration, handmade, home and gardening, home decor, home design, old furniture. Bookmark the permalink.